"Fit Fest 2018", the health and fitness event of the year, is back! 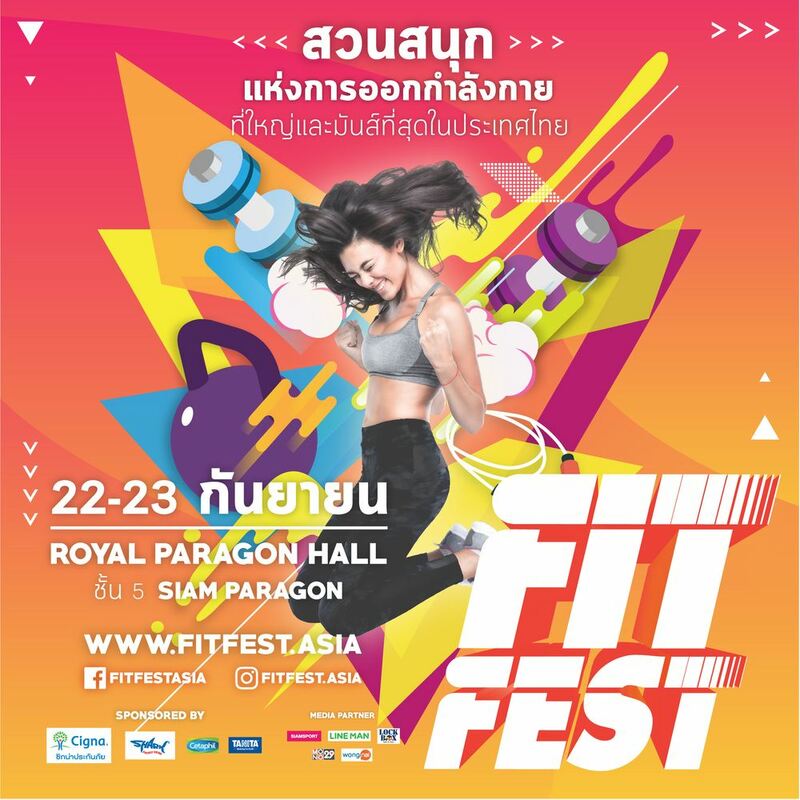 Fit Fest 2018 returns under the concept of the biggest playground of health and fitness in Thailand. Fit Fest 2018 will be packed with mass classes, shows, as well as exlusive promotional offers for gyms and classes and on equipment and apparel for anyone who loves health! Stay updated with the latest fitness trends from across the planet. Say goodbye to those old and boring exercise routines!This year will bring together leading fitness influencers and celebrity trainers who will be leading fitness classes at our main stage throughout the weekend. Join in the classes and be a part of the non-stop energy that will elevate your fitness game and transform health and fitness into a part of your daily lifestyle. Meet the top names in fitness, boutique gyms, as well as top equipment and apparel brands, with deals and special promotions exclusive to Fit Fest 2018. For the competitive types, take part in our competitions with cash prizes, such as the return of the F45 Playoffs, as well as an obstacle course race by the Movement Playground! Everyone is welcome, of every fitness level. Get ready to be a part of the great vibe that is Fit Fest 2018, which will be held from 22-23 September at 5th floor, Royal Paragon Hall, Siam Paragon. To register to enter and participate free, and for further details, go to www.fitfest.asia and the FitFestAsia Facebook fan page.